Famous for its dramatic scenery, ancient mountain ranges, rich Aboriginal heritage, abundant native wildlife and traditional country towns, the Flinders Ranges offers visitors a taste of the Australian Outback within a comfortable drive of a capital city, making it ideal for short breaks as well as longer stays. You’ll find Rawnsley Park Station on the South side of Wilpena Pound, and 430 kilometres north of Adelaide along sealed roads. The nearest service town is Hawker, approximately 30 kilometres south. A working sheep station, Rawnsley Park Station offers accommodation ranging from basic cabins to award-winning eco villas, all within landscapes that have inspired painters and poets for generations. From $475 per person with 3 or more people travelling. 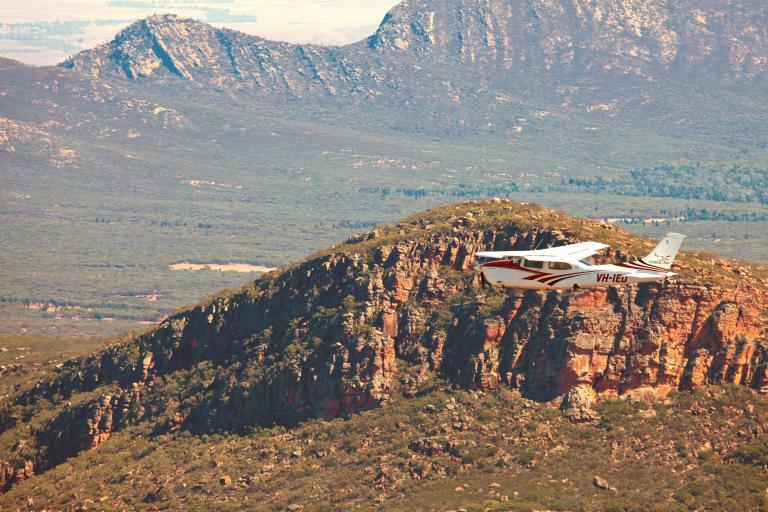 Flights from Rawnsley Park Station to Arkaroola Wilderness Sanctuary. Bus transfer from airstrip to Sanctuary. Seats on a shared, 4WD tour of the Northern Flinders Ranges with guide. 4WD tour includes morning tea. Arkaroola Wilderness Sanctuary is located at the Northern end of the Flinders Ranges in rugged landscapes. Fly over the Loves Mine Range, the Grindstone Range and the Bunkers Ranges to overfly the Arkaroola Wilderness Sanctuary. The flight will continue North to the Mawson Plateau before turning South for the Gammon Ranges then onwards to Blinman. After Blinman the flight will head West to the Heysen Range and fly over Parachilna Gorge, Brachina Gorge, and Bunyeroo Gorge before flying over Wilpena Pound and returning to Rawnsley Park Station. Flights depart with a minimum of 2 people. This flight does not include landing at Arkaroola Wilderness Sanctuary for the Ridgetop 4WD tour and lunch. For details of a flight to Arkaroola with a 4WD tour and lunch, see Arkaroola Adventure (described below). From $670 per person with 3 or more people travelling. Includes flights from Rawnsley Park Station to Arkaroola Wilderness Sanctuary. Arkaroola Wilderness Sanctuary is located at the Northern end of the Flinders Ranges in rugged landscapes. Fly over the Loves Mine Range, the Grindstone Range and the Bunkers Ranges land at Arkaroola Wilderness Sanctuary. Once on the ground, join a shared Ridgetop Tour – so steep that only Arkaroola guides are permitted to drive it – but you will enjoy spectacular views over the Flinders Ranges. Complete the experience with a light lunch at Arkaroola. The return flight will depart Arkaroola and head North over the Mawson Plateau, before turning South for the Gammon Ranges, then onwards to Blinman. After Blinman the flight will head West to the Heysen Range and fly over Parachilna Gorge, Brachina Gorge, and Bunyeroo Gorge before flying over Wilpena Pound and returning to Rawnsley Park Station. From $860 per person, with 4 people travelling. 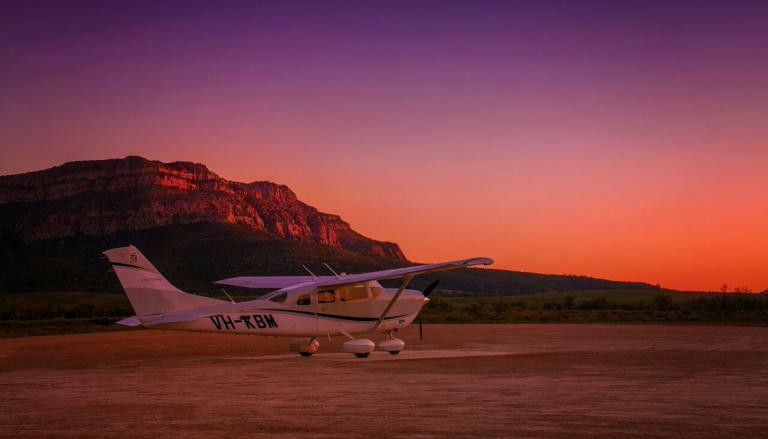 Includes scenic flights, and lunch at the William Creek Hotel. Before lunch, fly to the Northern tip of the Lake for views of birdlife, and water flowing in from the Warburton. Extra – $125pp. After lunch, fly over the Painted Hills on Anna Creek Station (the Hills are not accessible by road). Extra – $180pp. Depart from Rawnsley Park Station, and head North, over Wilpena Pound, and the Heysen Range – including Bunyeroo, Brachina and Parachilna Gorges. From the Ranges fly over the former coal mining town of Leigh Creek, before tracking North over the Marree Man. You will continue North over Lake Eyre South and Lake Eyre North / Kati Thanda National Park before turning West to land at William Creek for lunch at the iconic William Creek Hotel. After lunch, when ready, the flight will head South East for the opal mining town of Andamooka and Lake Torrens (the second largest salt lake in Australia). 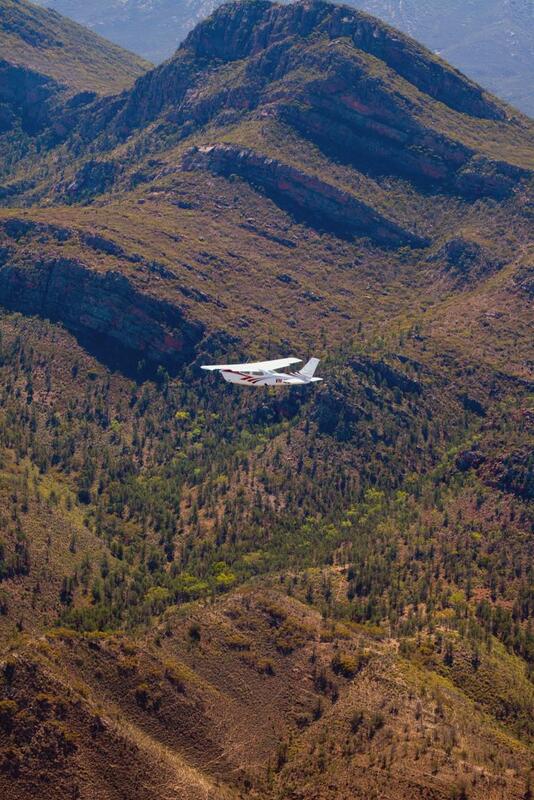 The final highlight is a flight over Wilpena Pound before landing at Rawnsley Park Station. Lake Torrens is the second largest salt lake in Australia (after Lake Eyre). 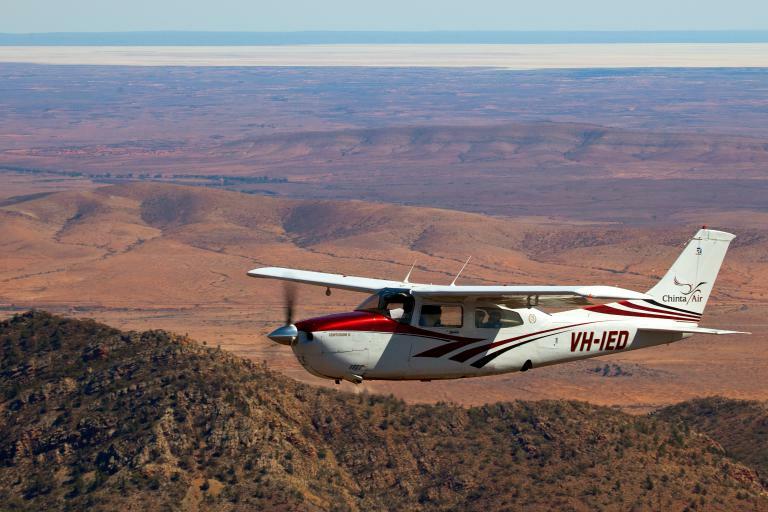 Combine the Flinders Ranges with the vast expanse of a salt lake with this 2 hour flight. Depart from Rawnsley Park Station, and head North, over Wilpena Pound, and the Heysen Range _ including Bunyeroo, Brachina and Parachilna Gorges. From the Ranges fly over the former coal mining town of Leigh Creek, before tracking North West to the opal mining town of Andamooka. Overhead Andamooka, we turn and fly South over Lake Torrens, and return to fly over Wilpena Pound before landing at Rawnsley Park Station. This flight does not include any landings or tours at Leigh Creek or Andamooka. Click here to see a brochure for scenic flights and tours available from Rawnsley Park Station.